Seems I might have been duped and got a fake Saatchi. Amy has an interesting piece about kayaking in The City. NYC paddling? Yup. Typically, the regional director represents the DEC on boards of the Adirondack Park Agency, Olympic Development Authority and Lake Champlain Basin Commission. Region 5 includes three-quarters of the Adirondack Park; over two million acres of Forest Preserve land; 5500 acres of state forests lands, 4500 acres of wildlife management lands, more than 3,400 lakes and ponds ranging in size from high altitude ponds of an acre or less to water bodies the size of Lake Champlain; 856 miles of Wild, Scenic and Recreational Rivers; over 530,000 year-round residents in 6 cities, 36 villages and 117 towns and millions of people that enjoy visiting and recreating in the Adirondack Mountains and surrounding areas. That by itself is a JOB. Not to mention taking the helm of a ship run by hardened civil service veterans (Lowe used to work at DEC). I don’t believe anything there will be a surprise, but now she has to be the boss. Those other three responsibilities bear a further look. While not officially a member of the Adirondack Park Agency Board of Directors, the Region 5 head has traditionally served as the designee of the DEC Commissioner. This is convenient as DEC Commissioner Grannis will more than likely rely on Ms. Lowe’s guidance for most things Adirondack anyway. The Adirondack Park Agency administers the Adirondack Park Agency Act (Executive Law, article 27), the Freshwater Wetlands Act (Environmental Conservation Law, article 24) within the Adirondack Park and, for private lands within the Adirondack Park, the Wild Scenic and Recreational Rivers System Act (Environmental Conservation Law, article 15, title 27). If your local, the importance of the APA seat needs no explanation. Otherwise, have a look at the Agency Regulations. It’s fair to say that most human endeavors within the Blue Line are regulated in some way by the APA. Same deal with ORDA (Olympic Regional Development Authority) which has the “mandate to manage and promote the sports facilities used to host the 1980 Olympic Winter Games.” She’ll again be Grannis’ representative on this very important board. 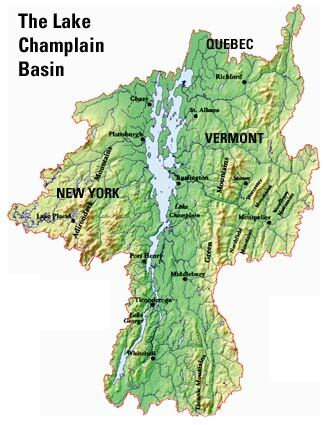 Less known is the Lake Champlain Basin Program. This is another regional organization with a huge jurisdiction – parts of New York, Vermont, and Quebec. I’ve had the pleasure of working with the LCBP and can say that it is a super group of folks with a really important mission. Again, Ms. Lowe will be sitting on the Steering Committee of this organization. The Lake Champlain Basin Program (LCBP) works in partnership with government agencies from New York, Vermont, and Quebec, private organizations, local communities, and individuals to coordinate and fund efforts which benefit the Lake Champlain Basin’s water quality, fisheries, wetlands, wildlife, recreation, and cultural resources. My past interactions with Betsy Lowe have all been positive, but I must admit to having little knowledge of her background outside of her leadership in the creation and administration of the Wild Center. If you’ve ever visited the museum, you might say that it could be representative of her organizational style and philosophy about the Forest Preserve. It all sounds like an immense challenge, and I’m pretty sure this new addition to the mix will create some interesting new energies. Heh, heh. This is a huge appointment for the Adirondacks and Betsy Lowe. Congratulations to Betsy and here’s wishing us all Good Luck!